What makes a Lockwood Home? Whether you're looking for a bespoke home for your family or a ReadyBuilt solution for your site, find out what makes Lockwood an eco-smart choice, designed for New Zealand since 1951 and built to last. What we do. For good. Our CodeMark accreditation gives you the ultimate peace of mind that the Lockwood building system not only has a stellar reputation, but that it is now recognised by law and is independently monitored. 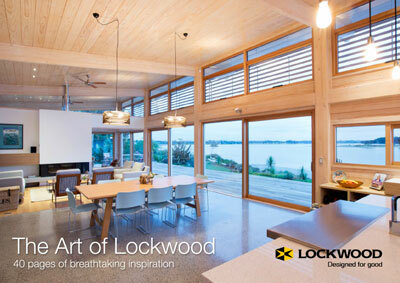 Lockwood homes use a unique and exclusive system, locking solid laminated timber planks and patented aluminium profiles together to create a strong, versatile structure. Find out why choosing a Lockwood home is an eco-smart choice for the environment and for your family.